What will 2017's bathroom trends be? 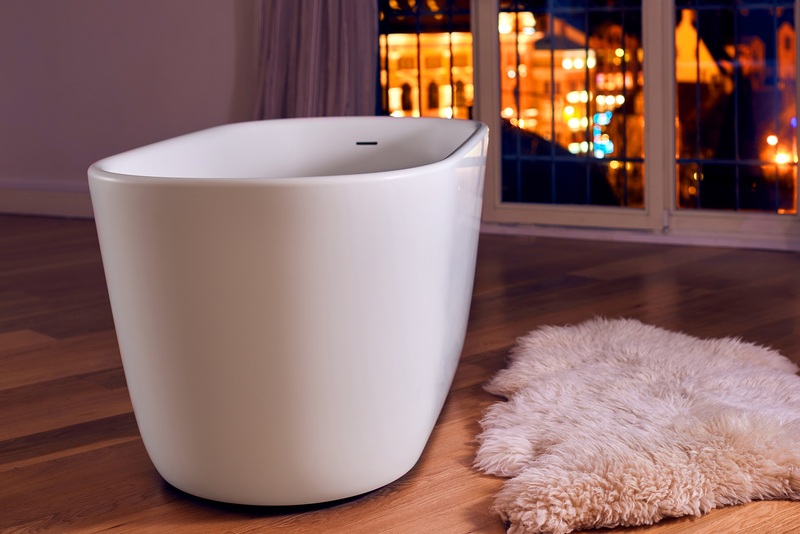 Find out all about soaking tubs, freestanding tubs and deep slipper tubs right here! When we look at the trends that have been making their way into the bathroom scene in the last couple of months, we can’t help but get excited! There are trends that we’ve seen before, making their way back. There are trends that are completely new, but there are also combinations of trends that have gotten us excited beyond belief. 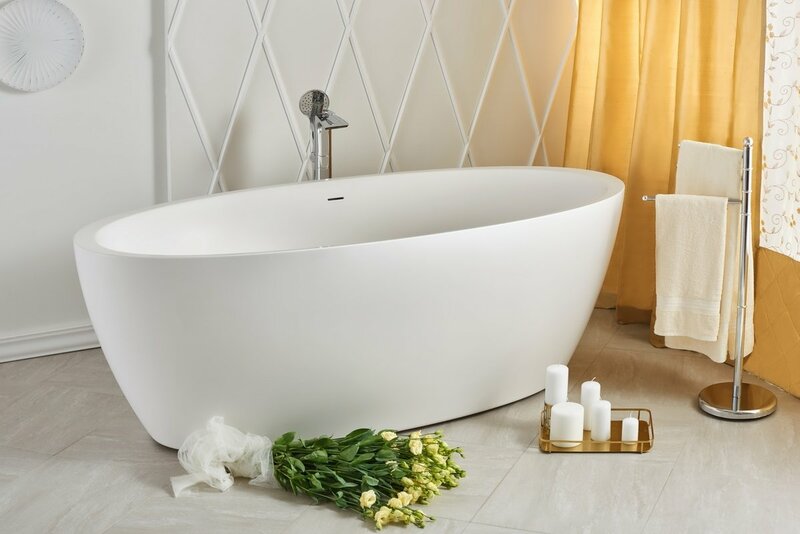 Obviously, freestanding bathtubs are one of the most popular trends of the year so far, with brass bathroom hardware and fixtures not far behind. We love that these trends are a lot of the bathroom trends we saw creeping their way up the wow factor ladder in 2016. Most of them seem to be set to stick around for quite some time too. From farmhouse bathrooms to eclectic concoctions, we’ve gathered up the best five bathroom trends that are worth a bathroom remodel! There is so much design and décor opportunity when you install a freestanding bathtub you’re your bathroom. 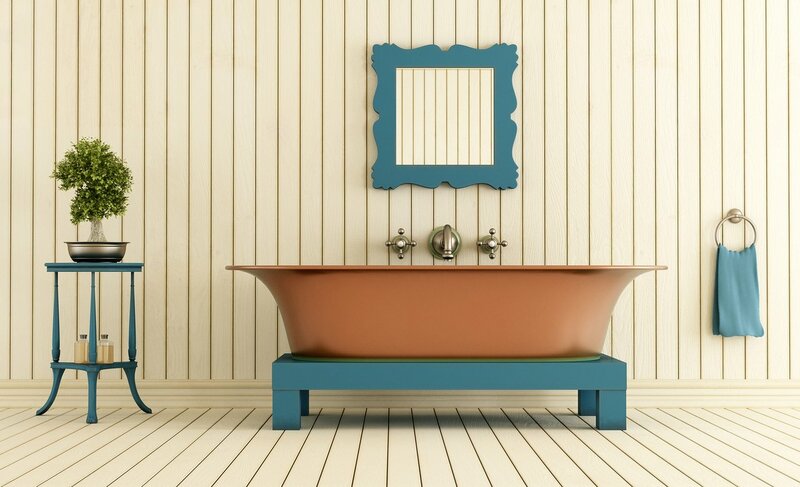 Sure, they may not work for every bathroom, but a freestanding tub means you can bring in cute stools, tables, benches or tub fillers for added old world charm. 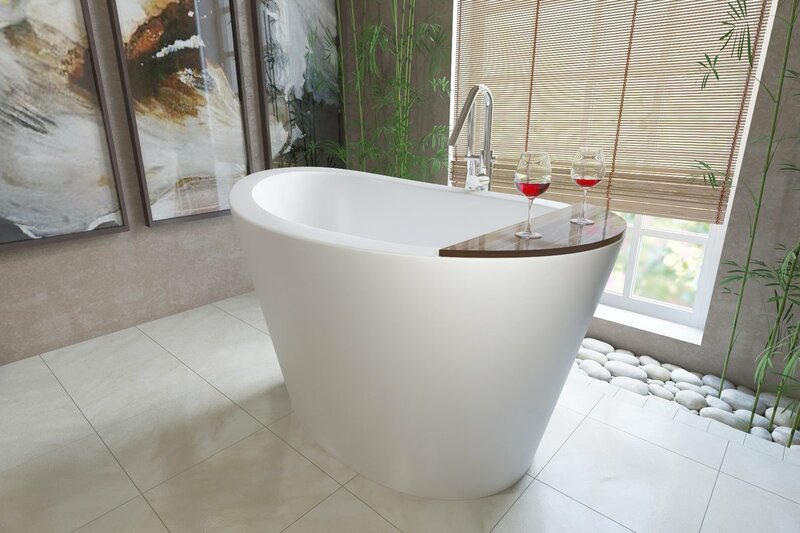 Choosing a freestanding tub can be a fun experience, with claw foot tubs, to smaller and deeper freestanding tubs. 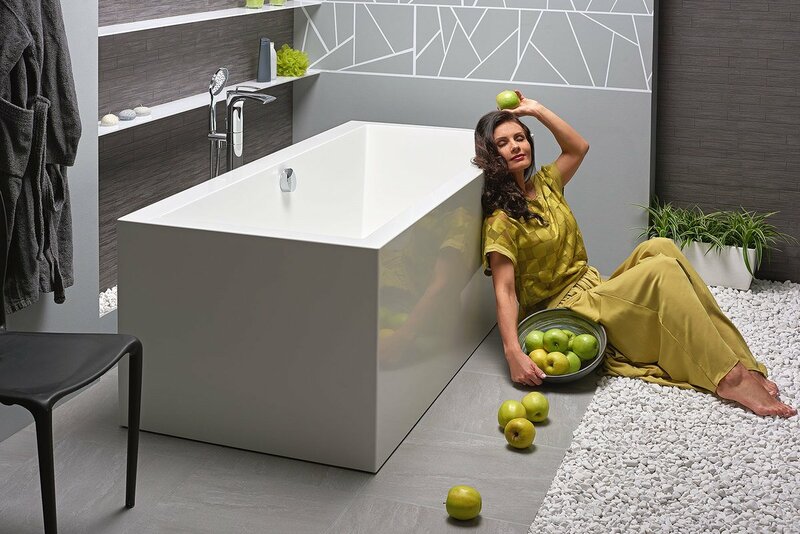 The popularity in freestanding bathtubs has grown so much in the last couple of years that manufacturers are making the options endless for us! Very popular over the last few months is definitely the nostalgic and vintage vibe bathroom. With pedestal sinks, wooden toilet seats and even subway tiles, you can easily bring that old nostalgia back into the bathroom. However, finding that balance to make sure you have a beautiful combination of modern and vintage in your bathroom, doesn’t need to be a huge challenge. Have the classic claw foot tub, but install a modern, slick, glass-doored shower. Using vintage artwork on a modern backdrop bathroom wall is also a great combination idea for vintage and modern bathroom. Brass has definitely made its way back into kitchen décor and fixtures, which is probably why it’s become so popular in bathrooms in the last year too! Brass fixtures, including drain plugs, bath filler, and faucets, will easily warm up a bathroom’s vibe. Be sure to use some deep color touches in your bathroom too. Dark navy pair with white tiles and brass fixtures is the perfect finish to a bathroom that needs a slightly nautical feel to it. If you have a sparky and eclectic personality, you should definitely add some of those eclectic touches to your bathroom. Adding in pale pinks or baby blues, silver finishes and wacky old thrift store mirrors is one way to start and eclectically styled bathroom. You want to try and have at least one main focal point of WOW in your eclectic bathroom. Choose a bathroom chandelier fixture, or a wild piece of art to hang on the wall. Creating a farm styled bathroom is another trend that’s been making waves in the industry. This is a trend that focuses on the small and very focused details. Wood stained vanities, beadboard paneling, large and antique mirrors, and a number of very unique homespun touches can help you create a farm styled bathroom with charm and functionality both in mind.